HP Color LaserJet CM6049f MFP DOT4PAR is a Dot4 device. The developer of this driver was Hewlett-Packard. LPTENUM/Hewlett-PackardHP_Co1D89 is the matching hardware id of this device. 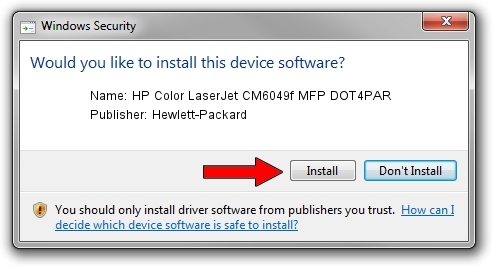 Download the driver setup file for Hewlett-Packard HP Color LaserJet CM6049f MFP DOT4PAR driver from the location below. 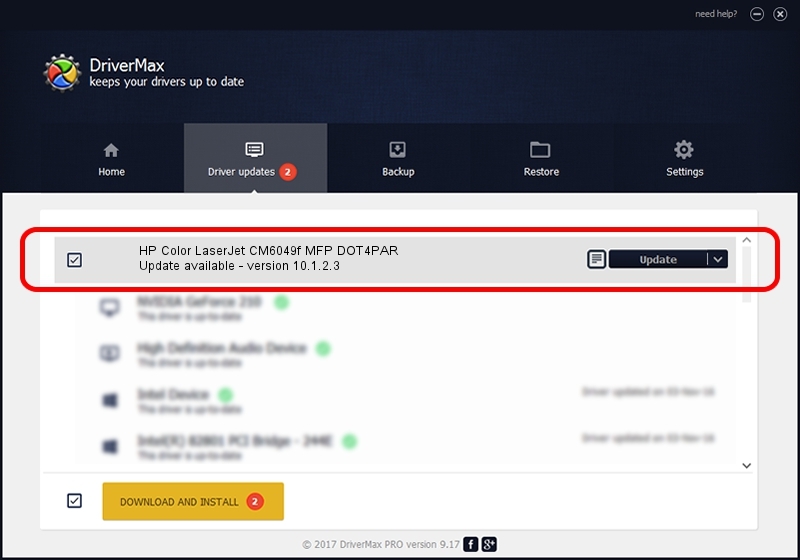 This is the download link for the driver version 10.1.2.3 dated 2013-03-07. Driver rating 3.3 stars out of 37321 votes. Take a look at the list of driver updates. Search the list until you find the Hewlett-Packard HP Color LaserJet CM6049f MFP DOT4PAR driver. Click on Update.